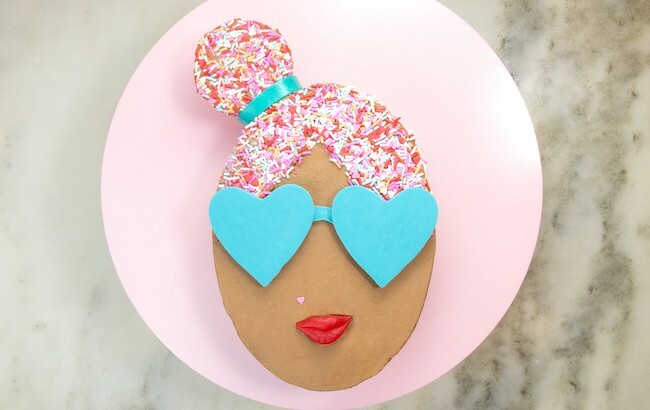 I don’t know if you’ve noticed, but I’m on a mission to SPRINKLE ALL THE THINGS! 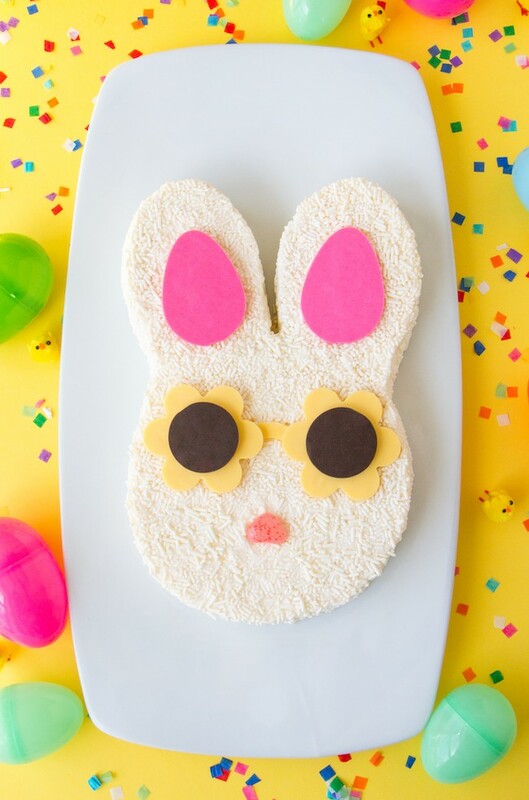 This sprinkle bunny Easter cake with adorable daisy sunglasses is the latest addition to my sprinkle hair (and now fur) cake family I started over on The Cake Blog this past Valentine’s Day. 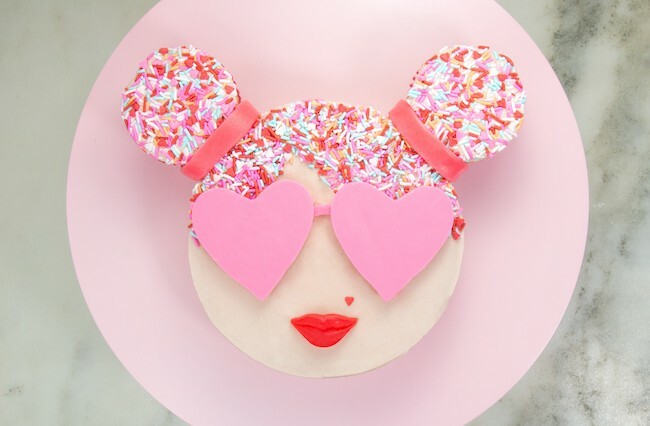 Click on one of these cuties to check out the post on The Cake Blog. 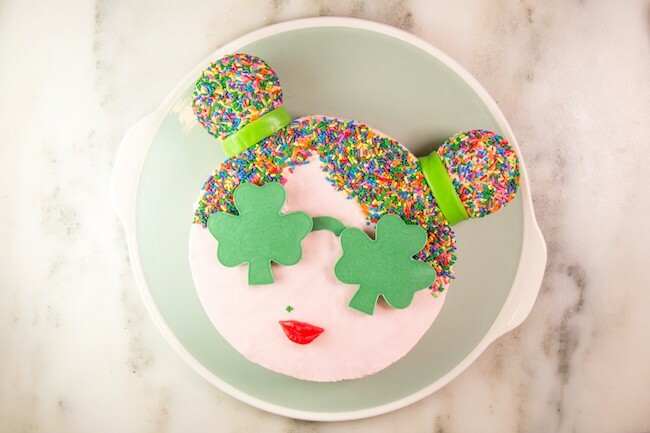 I also whipped up this little St. Paddy’s Day lass, but ran out of time to put together any sort of respectable blog post. Even though the holiday has come and gone, I’ll likely try to catch up on that before next St. Patrick’s Day. Possibly. 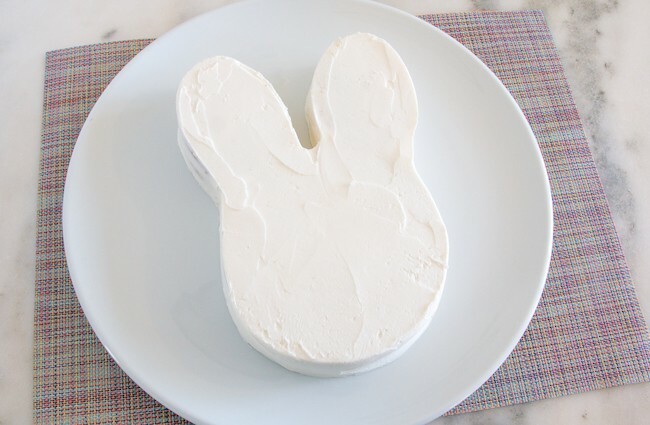 There’s an endless supply of tutorials for bunny cakes, so I knew if I was going to create one of my own it had to be a unique take, easy to execute, and delicious. Happily, I think this honey bunny hits the mark! 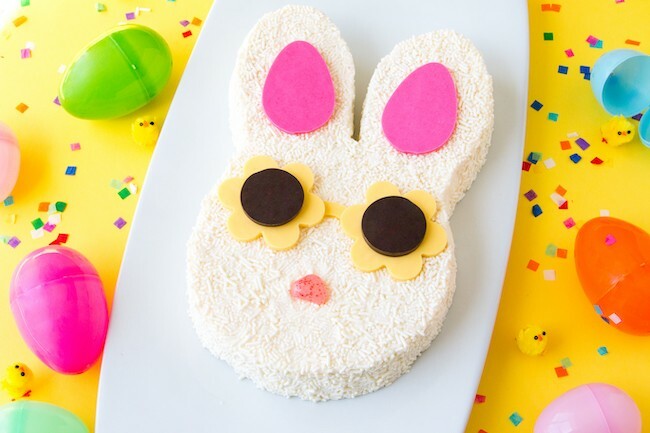 If you wanted to switch things up this would look just as adorable covered in brown sprinkles for a chocolate bunny effect, or switch up the color of the sunnies to whatever you little bunnies prefer. My supply list contains affiliate links because that’s how people on the internet make money. We live in the future! Slice the domed tops off of both cakes. 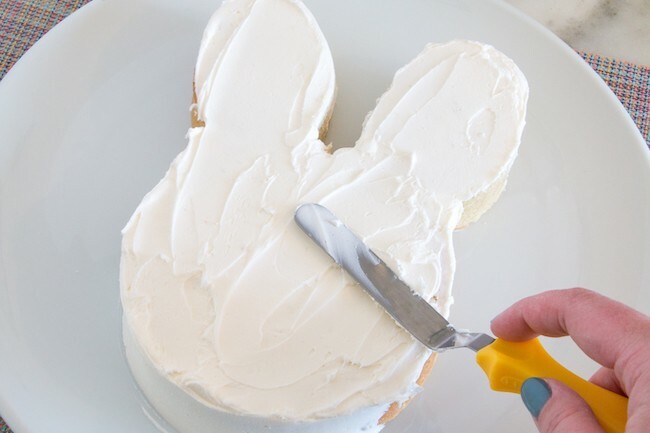 Smear a dab of buttercream on the bottom of one of the cakes and set it onto your cake stand or platter. 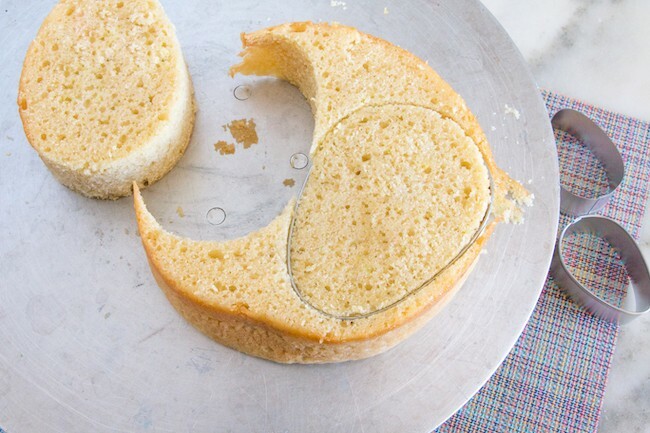 Use the large egg cutter to cut two egg shapes from the other cake. 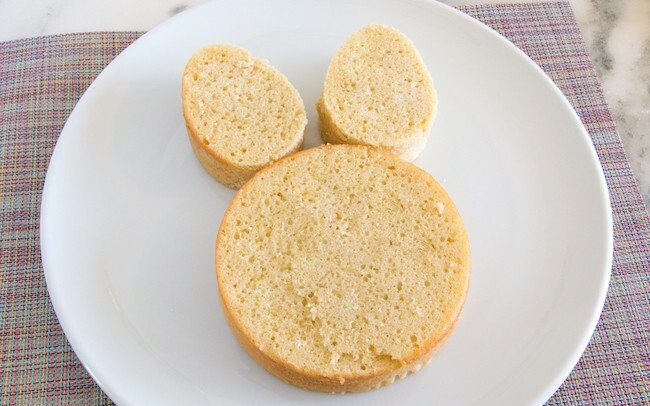 Add the egg cakes to the round cake to make the bunny’s ears. Attach them to the plate with a dab of butercream. Discard the domes and trimmings or save them for snacking, cake pops, whatever! Frost the cake with buttercream until it’s #smoothenough. No need to be fussy with it before it’s sprinkle bath. Wipe the plate clean of any excess buttercream. Coat the top and sides of the cake with white sprinkles. 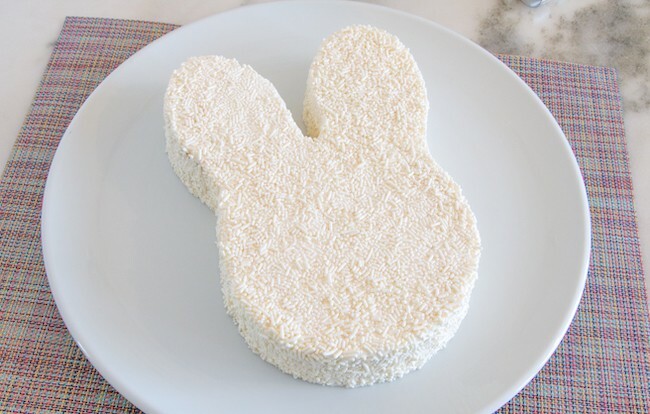 Scoop them up into the palm of your hand and press them against the sides of the cake. 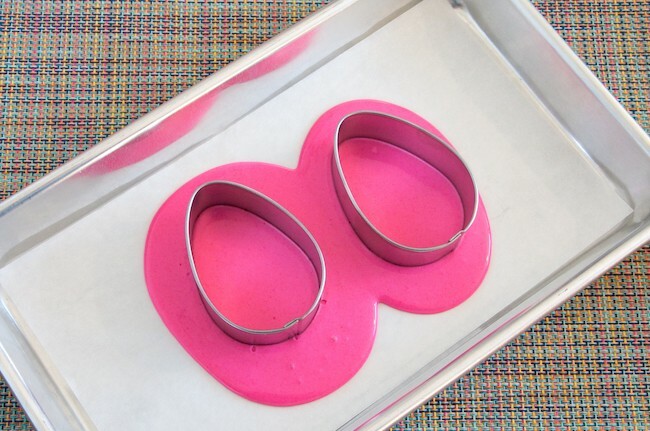 Tap them down gently on the top of the cake to keep them from rolling off. 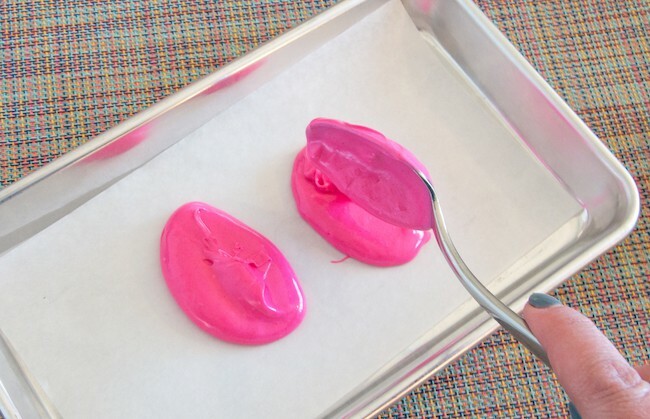 Melt the bright pink coating chocolate in a small heatproof bowl. Spoon two large dollops of the melted chocolate onto a parchment lined baking sheet. Tap the sheet against your work surface to spread and smooth the melted coating chocolate. Drop the smaller egg-shaped cutters into the melted chocolate and pop the tray in the fridge until set, about 5 minutes. Lift the cutters from the sheet and set the egg shapes aside. Return the excess chocolate to the bowl to reuse another time. 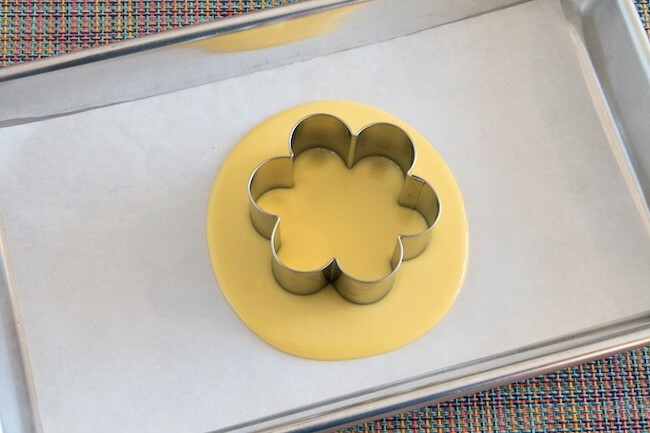 Repeat the process with the yellow coating chocolate to make two flower shapes. Pipe or spoon a small arc of yellow coating chocolate onto the parchment paper to use as the bridge of the glasses. Repeat the same process again, but with the circle cutters, to make two round dark chocolate pieces as the lenses. 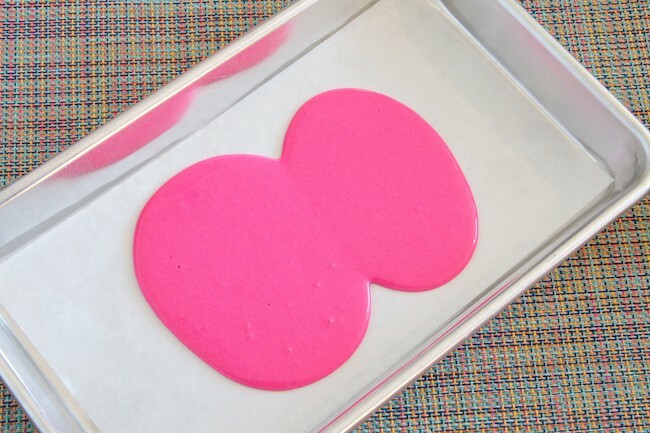 Spread or pipe a dab of buttercream on the back of each pink egg and place them in the bunny’s ears. Add the bridge of the glasses and the yellow flowers on either side, using buttercream to attach as needed. Attach the lenses to the glasses. 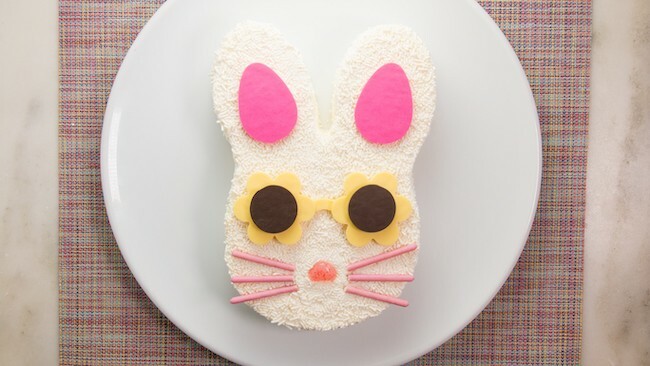 Add the heart-shaped jelly bean below the glasses to make the bunny’s nose. Hop on over to the dessert buffet and enjoy! I couldn’t decide on this one, so I’m leaving it up to you! There was something super chic about the whisker-less bunny, but also something super cute about the one with whiskers. If you want to add them to your honey bunny, pick up a box of Strawberry Pocky cookies (available in the Asian Foods section of most supermarkets and box stores, or online). Break the pink ends off of 6 of the cookies and add three on either side of the jelly bean nose.